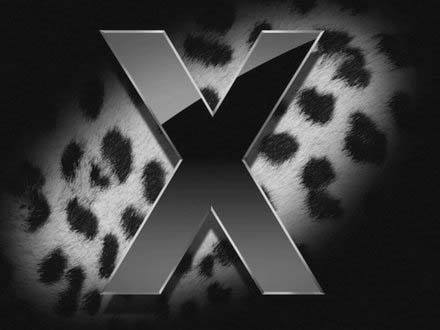 The internet is hot with rumors about Leopard and ZFS. Apparently some mucky-muck at Sun Microsystems disclosed that the ZFS file system will be the primary file system in Leopard. I guess it is not as big of a secret as everyone was initially saying however since I'm hearing the alpha/beta testers of Leopard have been saying for some time its already in the build. Regardless, all this speculation led me to the question of what, exactly, is ZFS? I read the Wiki article here and it helped a little bit for my non-tech brain but then I really got a handle on it when listening (as a complete coincidence) to the Macbreak Tech podcast where it was explained along with a few chuckles. I'd give you a link but Macbreak Tech is very new and I can't seem to find one. Just do a podcast search in the iTunes store and you are set. Now if you want me to explain what I understand of ZFS, that just isn't going to happen. Monkeys shouldn't do brain surgery and I shouldn't attempt to explain ZFS.